The FIFA 19 FUT Future Stars SBC is still going on, new Future Stars player is Bayern 87 LM Alphonso Davies, we brings the cheapest solution to complete the FIFA 19 Future Stars Davies SBC and player review for Davies, earn an 87 rated Davies and 2 packs with least FIFA 19 coins. The attribute details of FIFA 19 FUT Future Stars Davies. Alphonso Davies, 87 overall rating with lots of decent stats, 97 pace, 85 shooting, 80 passing, 88 dribbling, 84 physical, and 89 stamina, 98 agility, 89 balance, 89 in-game dribbling, 92 shot power, 97 sprint speed, amazing and pretty nice card, which make you enjoyable in game and good enough to play FUT Champions competition, there’s nothing big shortcomings, what’s more, he is only 18 years old, even though his positioning is a little weak and the freestyle skill moves maybe a con, he is likely to get a skill move upgrade. The 83 finishing isn’t the best, you can apply chemistry style to boost it. When it comes to the FIFA 19 Future Stars Davies SBC, you need to submit an 85 rated squad with two informs and an 84 rated squad with no IF card, the cheapest price to complete the SBC is under 200K FUT coins now, does it worth for value? Compare to other high rated Bundesliga left wingers special cards, such as 86 Ribery, or left midfielders, such as 86 Gnabry, 86 Reus, 84 Sancho, Davies definitely is the better one, he is actually the best player who fits the left midfielder and left winger position and also an end game player can last a full 90 minutes. Overall, this FUT Future Stars SBC is value for coins. 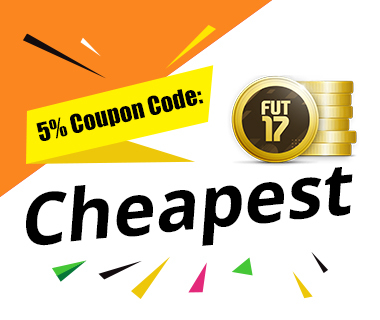 Check fifa ultimate team coins cheap to get your favorite player card now.